Used in 1789 recipes at an average of 1.811%. 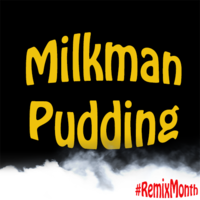 Updated- added 1% more Corn Bread, and added 1% Premium Custard for some texture/thicker vape. Creamy Cornbread Pudding. 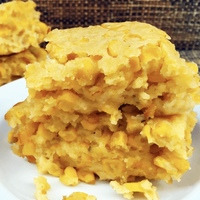 Inspired by Country Clouds Cornbread Pudding. I’ve over thought this recipe many times. I kept it as simple as possible and stuck to the profile with this. Definitely not a clone but it is darn tasty. Nice Mango tangerine flavor with a nice sweet creamy vanillla Finish. 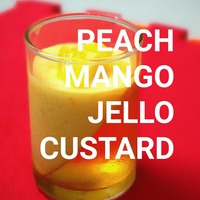 I wanted to see what I could mix with mango other than peach and this worked out so well. Give this a whirl. You will not be disssapointed. Sweetener is optional. Taste good off the shake. Steep 3 days for great results. 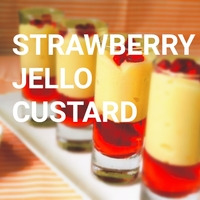 Took my Ultramilk base as it is a very versatile custard base and added FA Juicy Strawberry. Kinda reminds me of nesquick strawberry. This tastes very different from the strawberry custard vapes I've tried so far. 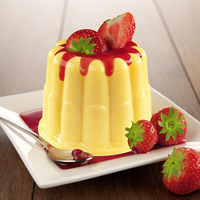 A nice rich buttery custard with strawberries. This was born from the strawberry jello custard I posted. I'm doing the jam monster thing and releasing this with the strawberry jello, let's call it the jello monster, if you will. 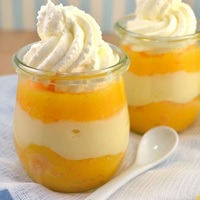 I was playing around with the custard layer and found that quite a few fruits worked with this layer. 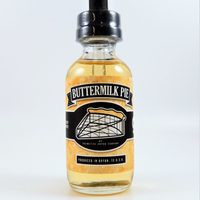 I wanted more if a dairy custard and TFA Vanilla Swirl was perfect to bring in a milk like quality into the mix with the vanilla notes that I needed. FA Custard Premium is perfect for the buttery quality of custard and INW Custard adds the richness and egginess that I needed. JF honey peach is the king of peaches and works perfectly with FLV the king of mangos to create a really great candied peach and mango. Swedish fish is used low to help create a jello sensation and doesn't add too much to the taste of Swedish fish. Super sweet is optional. What can I say, it tastes commercial now. I know, another strawberry and cream, but what can I say, they are always great. So this isn't a very strawberry forward mix. 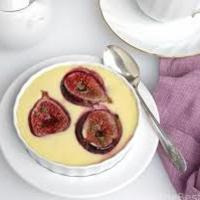 I wanted a strong emphasise on the thick custard with a bit of strawberry to keep it interesting. FA Juicy Strawberry adds this sugary element to the mix and TFA Strawberry helps bring the strawberry a bit more forward. Swedish fish is used low to help create a jello sensation and doesn't add too much to the taste of Swedish fish. Started working on a clone for creme de la creme and while making a few mixes I decided to try and sub out for a different nut. 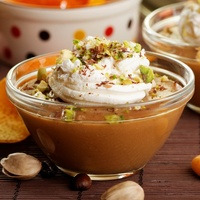 The pistachio works so well with the creams and caramel. Dropped the coffee note as that didn't play as well with the pistachio, but this is a rich, slightly nutty caramel cream that is delicious after a week steep. 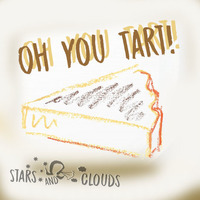 Oh You Tart! She used to be a dinner lady then she became a tart, "Devine" intervention helped her to become one of the most popular tarts of 2017. She not only brings all the boys to the yard but is also the envy of the other ladies and has won the title of being "the ultimate tart! "